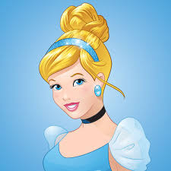 About me I am "The Princess" of The Trading World. Trading loves me, and I love it back. XAUUSD - At the supply zone! It has been observed on daily chart of XAUUSD, getting support at 1129 price action reached 1221. Daily close above 1221 indicates bullishness of XAUUSD. Target is 1248. Stoploss is 1215. Buy nifty above 8752. Target 8770 8790 8810. Infosys is in long term support area 900 - 915. RSI shows positive divergence. Price action closing above the trend line will decide whether Infosys is bullish or not. I have given the targets in the chart. PS : Investors and readers please share your views. Bank nifty - Goes with Nifty! Mighty Nifty - Budget rally is still on! Nifty is showing its power from afternoon today. I posted "Mighty Nifty - Budget day special 2" as an example of bullish flag breakout. The rally continues. Nifty is buy with stoploss 8670 with targets 8740, 8765 and 8800. Mighty Nifty - Budget day special! DivisLab - Bullish Flag pattern! After getting support at 670 Divislab is bouncing back with full strength. Volume candles show the accumulation. Buy above 716 with the stoploss 711. Targets are 727 and 748. Trader's Queries : Y options not suitable for beginner? 1. RSI positive divergence 2. High volume. Can buy ICICI with stoploss 258. Targets are 266 and 269. Tatamotors targets are 558 and 565 with stoploss 546. Next targets for banknifty are 19600 and 19740. Most of the bank stocks took support and started to move upside. Trend remains same till banknifty and nifty are in same direction. Mighty Nifty is still strong! In my previous post "Mighty Nifty is bullish", I have given the target 8590 and it was reached yesterday. For three consecutive days nifty is bullish. Sentiment is bullish and all segments are strong. My next target is 8660 and 8700. Next week I expect nifty to trend upwards but with sideway movement in between. Price action on one hour chart of Tatasteel shows that the price breaks out of the flag formation indicating the stock is bullish. Buy tatastell above 460 with stoploss 458. Targets are 470, 474 and 477.